In recent months we have seen some incident reports submitted through our insurance program that show a pattern of concern. The incidents involve novices and beginners being sent into, or going into a pasture to catch, halter, and maybe lead a horse away from a group or herd of horses, and possibly out through a gate. Most of these incidents were part of a hands-on learning and observation session set up for patients or participants in Equine Assisted Services to Therapists, which we classify for insurance purposes as Equine Assisted Growth & Development Services. Equine Assisted Growth & Development Services originally began as observation sessions in which a professional psychotherapist would have the horse handler (the Equine Assistance Provider) create a problem or scenario for a horse or horses to negotiate inside of an enclosure. Therapy patients would watch the scenario unfold and learn how to approach their own concerns and problems through considering how horses respond and react in the session. This has been a reasonably safe activity because the horses and patients were separated by a fenced enclosure. The horses were handled by a professional handler, and the activity was not a hands-on experience, nor did it involve riding of the horses. Equine Assisted Services to Psychotherapists have evolved since those early days, and may now involve direct hands-on activity where patients do things with a horse while on the ground, usually in a pen, arena or stall, and may involve riding of a horse. This activity is somewhat similar, but different from other exposures we insure, such Therapeutic Riding and Disabled Riding. The difference lies in the fact that “Equine Assisted” riders are not generally disabled or in need of physical therapy through riding of a horse. Equine Assisted participants are under the guidance and care of a psychotherapist and are in need of emotional and / or behavioral therapy. In this activity, the psychotherapist will seek or provide the horse handling services of an expert horse handler, and it is this service that we insure. We do not provide malpractice insurance for the therapist or therapy provided. Equestrian Services Providers, that is, operators who provide lessons, school horses, disabled riding, hippotherapy, pony rides and guided horse rental operations do so under highly supervised conditions and with pre-activity training and preparation of participants before the activity begins. The pre-activity training and preparation provides for a safer activity in most instances. Under such circumstances it would be rare and quite unacceptable to have riders go out and get the horses they are to ride or use from the pasture unsupervised and / or without pre-training on how to approach a horse or group of horses, halter, lead, stop and control them. However, the accidents and incidents of concern involve people going close to horses and doing something with horses without the pre-activity training and preparation. This type of activity is difficult to insure because an accident turning into a bodily injury claim would be difficult to defend from liability. A horse activity provider must consider the basis by which they would legally defend a practice that allowed for injury to a novice in which there was no safety pre-training. The safety pre-training generally gives the participant the chance to know how to avoid a foreseeable incident that could cause injury relating to their interaction with a large animal. We’ve seen incidents occur where participants are stepped on, or knocked down as they tried to figure out how to approach and attempt to do something specific with a horse, wherein part of the therapy is to not provide pre-training, but to let the participant figure it out for themselves. In cases of concern, the horse handler and therapist were behind the fence and not close enough to try to control, guide, or assist if something goes wrong. There was no effective plan on how to avoid or mitigate an incident that could be anticipated to happen. Horse handlers and therapists must consider that horses are big, powerful, fast and not totally predictable, no matter how gentle or well-trained the horse may be. 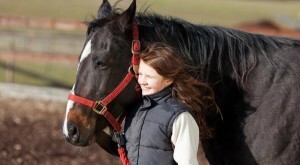 If a human injury occurs in such a situation, the question by the lawyers will be, “what was your plan A, B, and C to avoid or mitigate an incident that could cause an injury?” Another concern is that the therapeutic session could turn into the opposite quickly if a patient is traumatized by a horse knocking them down. The therapist and two horse handlers were standing outside of a pasture behind the fence. Three loose horses were drinking at a water tank. The non-horse-experienced participant was instructed to approach the horses alone, to single one out, put a halter on it and lead it away from the group and back to the gate. The patient was given no preliminary safety and technique instruction on how to approach a horse, let alone a group of horses drinking together at a tank, or on how to properly put a halter on a horse and lead it. Figuring it out was part of the therapy experience. In this case, the participant was a teenage girl. She approached the three horses from behind, made her way between them and up to the head of the middle horse. She reached up to hug the horse, the horses got scared or irritated and rapidly dispersed. [There is usually competition for position when horses are feeding or drinking, and a timid, unfamiliar human entering the group might be seen by the horses as a competing creature or one to be afraid of and run from.] The girl got knocked to the ground. The therapist and horse handlers watched from outside the enclosure and their biggest concern at that moment was to see if a horse might step on the girl’s head. Fortunately, the girl was not seriously injured, but incidents such as this caused underwriters to consider the potential for serious injuries in this activity. The questions for us are: 1) How can this activity be done with greater safety and still achieve a therapeutic goal? 2) On what premise could a claim from such an incident be defended? First of all, we do not advocate an inexperienced person, a novice, entering a pasture, paddock or stall to approach a horse for whatever purpose, until and unless they have been trained in the safest possible approach, and without a skilled and knowledgeable horseman close at hand (not on the other side of the fence) who can attempt to control and guide the situation. The novice should have pre-instruction and practice on how to halter and lead a horse and how to avoid being stepped on by a horse. They also need to learn about how horses think, react, and the potential pecking order dynamics in a herd. Expecting a novice to go into such a situation with no orientation and close-by supervision is kind of like throwing someone into a lake to see if they can figure out how to swim. Horses are big, powerful and quick when they think they need to be. Safer teaching scenarios need to be implemented for these situations.